With this mod you can monetize the posting on your forum, put a price to post new topics! Con este mod podra monetizar su sitio, solo debe ponerle un precio a la creacion de nuevos temas! Use Paypal API to make it more secure payments possible. history of all payments made with important information about each payment. 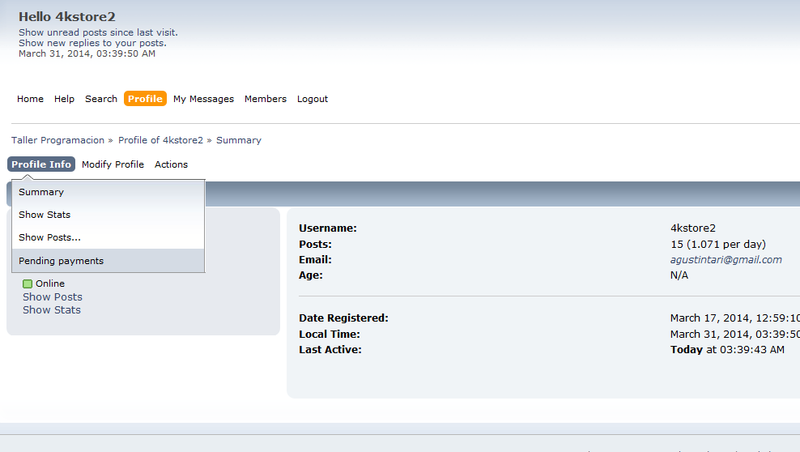 Order registration by Subject , Date, User. 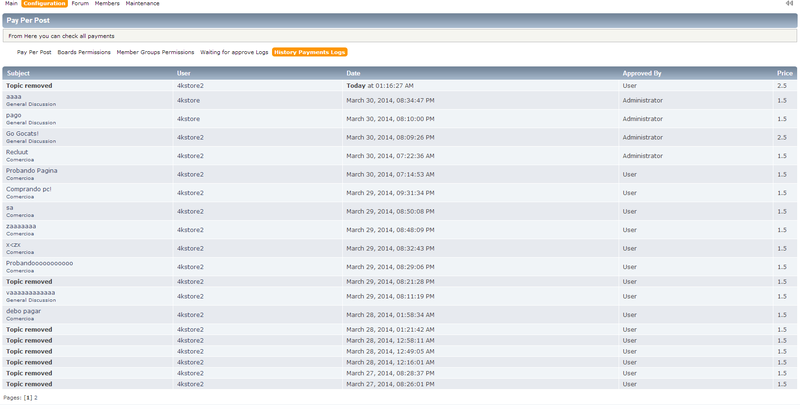 Pagination, you may set the number of records to show per page . Approve the topics being administrator save history. 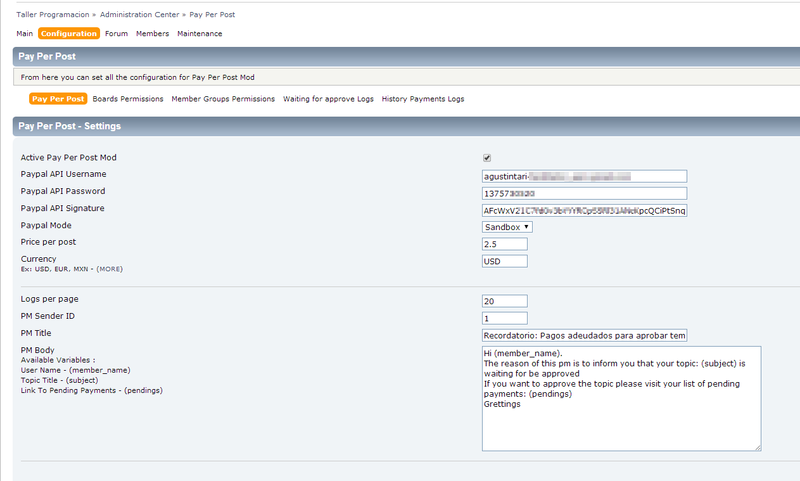 Redirect to paypal afteer create a topic, the user can return to the forum if they don't want to pay at the time. Utiliza el API de paypal para hacer los pagos lo mas seguros posibles. Historial de todos los pagos realizados con informacion importante acerca de cada pago. Ordenar el registro por Tema, fecha, Usuario. Paginacion, usted podra configurar el numero de registros a mostrar por pagina. Aprobar los temas siendo administrador guardarlo en el historial. 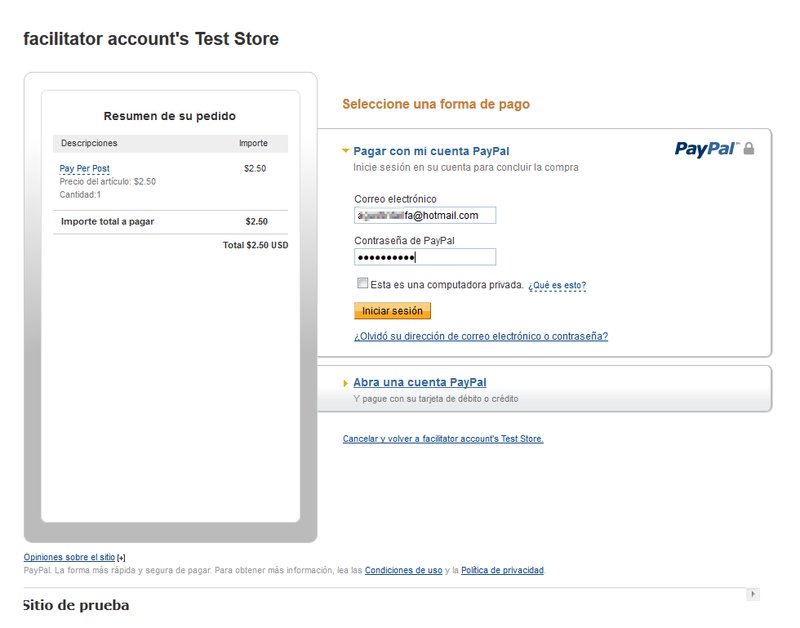 Direccionamiento hacia paypal al crear el tema, el usuario puede volver al foro si no desea pagar en ese momento. Page created in 0.237 seconds with 26 queries.